These beautifully design silk wings are made of light, airy silk and hand-dyed in beautiful color combinations. The broad satin ties make them easy to tie on. Wrist loops for great flying action. 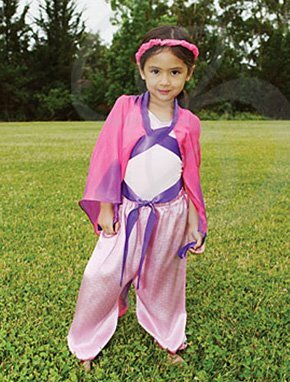 Styles are open-ended so children can imagine they are any number of things a butterfly, ladybug, fairy and more. Fits most children ages 4-9.